Last month we started an ambitious project to digitize all of the back issues of the McGill Daily, the student newspaper founded in 1911. Starting in January the plan is to start collecting the +60,000 files into PDFs and run optical character recognition to make the papers fully searchable. Next up will to upload them to the Internet Archive and then create a digital collection that features more of our digitized student publications. 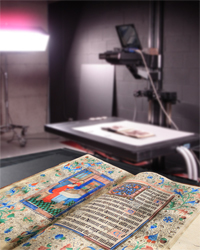 Our hope is to preserve and create a searchable index to part of McGill student history. We hope to follow up by adding the publications that preceded the Daily, namely the McGill (University) Gazette 1873-1890, the McGill Fortnightly 1892-1898, the McGill Outlook 1898-1907 and the (McGill) Martlet 1908-1911. Since that is still many months away I’ll tease you with just the front page of the first issue. 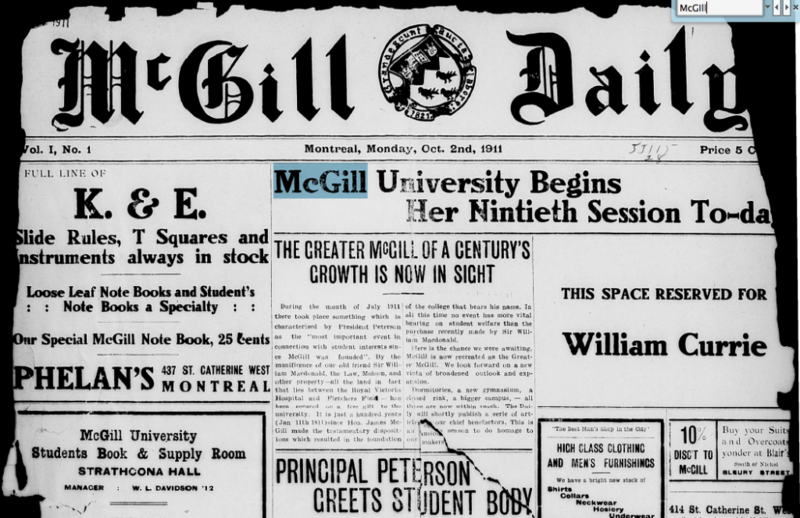 Searching the first issue of the McGill Daily (1911). This entry was posted in Behind the scenes at McGill, Montreal matters and tagged McGill History, McGill University -- Periodicals, McGill University Archives by Sarah Severson. Bookmark the permalink.